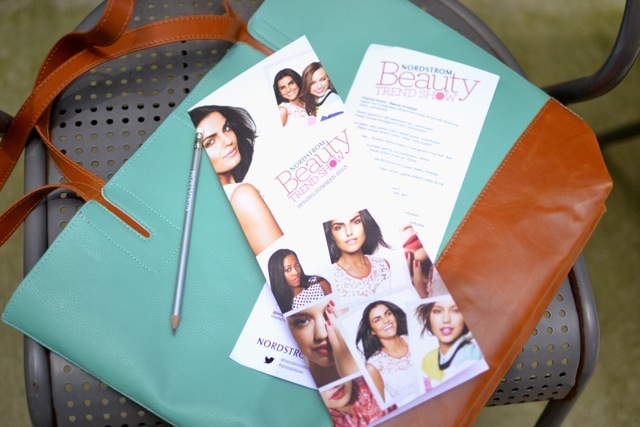 Last weekend, I attended my first Beauty Trend Event at Nordstrom (check your local Nordstrom’s “Events” page on the website to find one near you). It was so much fun and more than I expected! (A DJ playing loud “The Way You Make Me Feel” by MJ, “Nasty Boy” by Janet J, etc. before 8 o’clock in the morning definitely signals a fun, very high energy event ) The highlight of the morning was a runway show featuring both fashion and beauty trends for the spring/summer, with experts from each brand – many of whom flew in specifically for the event – detailing their product picks. Following the show, the store was set up in a beauty-palooza of makeovers, product demonstrations, and samples. Side Note: There were also lots of full-size product giveaways. Oh, and two buffed, shirtless male models delivering the prizes to the winners. Some of the women in attendance forgot where they were. That’s as nicely as I can phrase that, lol. 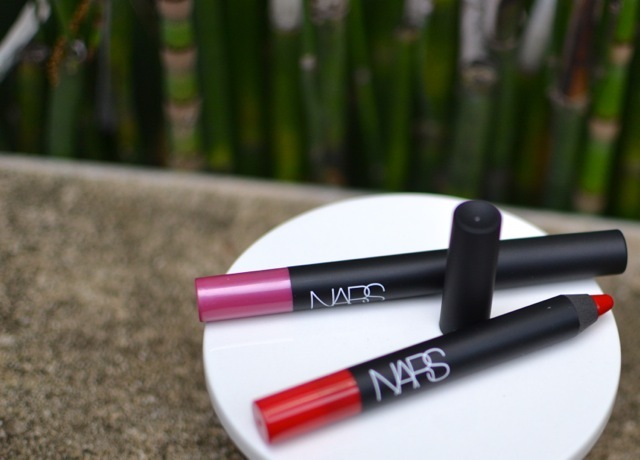 I really like the look of a matte lip (and the ease of one-step lip color), so I’ve been wanting to try these Nars Velvet Matte Lipstick Pencils ever since I read about them on Simple Beauty Blog. It was all smiles and giggles as soon as the Nars expert applied the color and held up the hand mirror. These pencils deliver great color, long wear, and feel like I have nothing at all on my lips! 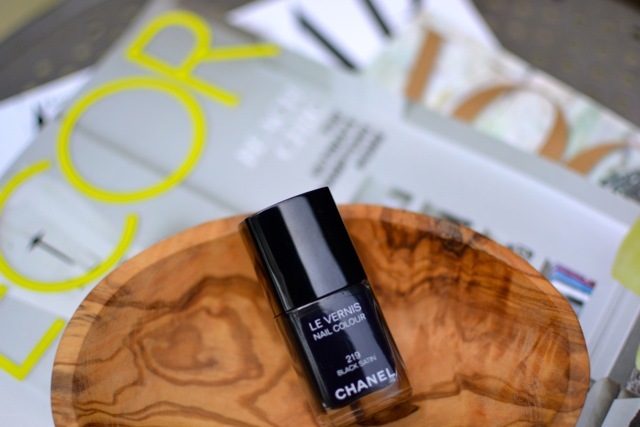 Side Note: Blogger and Manicurist Erin of Brains of the Outfit also said that Chanel is one of her favorites (check out her other picks here). I admit, I’m a little nervous that I’m going to try this polish and fall head over heels for it because I know how I can get when I find a new product to love. Have you ever been to a beauty event? What are some of your must-have beauty products? Thanks for the blog love! I’m glad you like those Nars pencils as much as I do! Not yet, but I really want to. I’m going to look for some on the Nordys event page as you suggested. I love a matte look too for the lip. I was just telling myself I need to invest in some lip liners to define my lip this summer! I used to use a MAC “Brick” lipliner to get the red matte look, but it was really drying (probably because it’s not meant to be used that way, lol). I love that the Nars one is a liner/lippy in one. Thanks for reading!